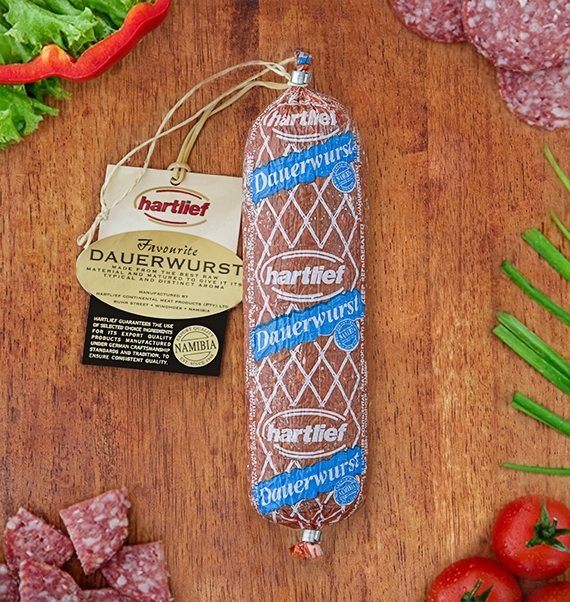 Made from premium quality meat, Dauerwurst is matured to give it a distinctive aroma. 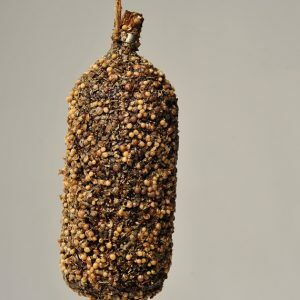 Spicy and flavourful, it packs a strong punch. 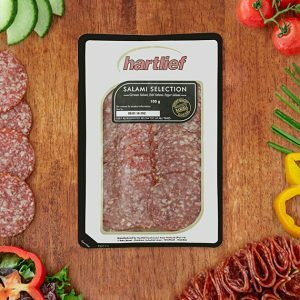 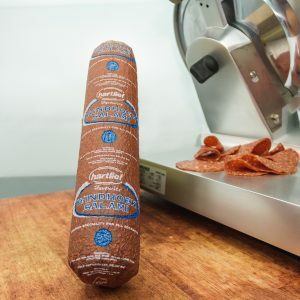 It is a traditional Northern German style salami and pairs well with other intensely flavoured foods like olives, garlic and chilli.